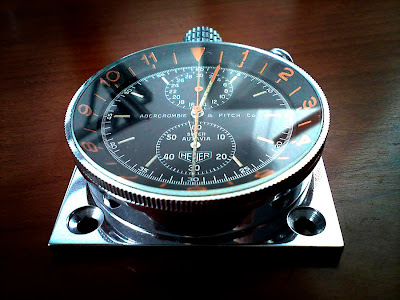 Super Autavia the ultimate timer. The Super Autavia is the most complex of the dash-mounted Heuers, a true chronograph that combines time-of-day and a stopwatch. Powered by a rare Valjoux 76 movement the Super Autavia was introduced in 1958. 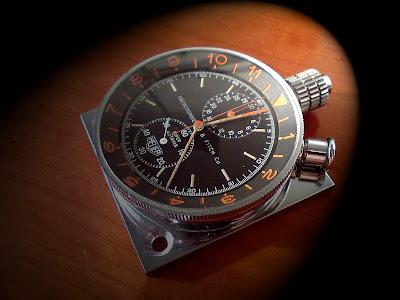 This one is the first model with dials with baton markers not numerals as on later models. The bezel is coin-edged and the hour hand is thinner than on the later versions. All Super Autavias are rare. This one is extra rare as it’s the first model and co-branded with Abercrombie & Fitch. Founded in New York City in 1892, Abercrombie & Fitch was a store devoted to apparel, equipment and supplies for all sorts of outdoor sports - from fishing to climbing to the most exotic of adventures. Heuer manufactured several interesting chronographs for Abercrombie & Fitch, and the full line of dash-mounted timers was also sold under the Abercrombie & Fitch name. The beautyful Valjoux 76. That's a very nice movement. In 1965 the movement was changed to Valjoux 5 and the style of the case was made to match the style of the other dash-mounted Heuers. The final variation of the Super Autavia featured a true 24-hour indication, with a unique red and blue bezel that allowed a start time to be marked or a second time zone to be tracked. The Super Autavia maintained its dignity, this top of the line chronograph was never produced in a plastic case. Time of Day is read as on a standard clock, with white hands for hours and minutes, and a seconds register at the bottom of the dial at 6:00. 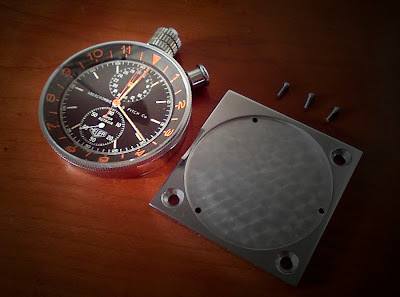 Heuer referred to this as the Super Autavia’s “White System”. 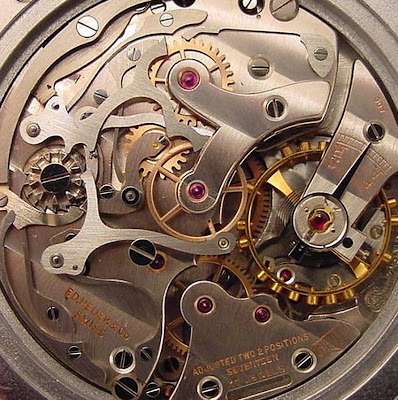 When the crown is pulled out, the movement stops instantly, allowing synchronization with a radio time signal or other source of “official” time (hack movement). Pushing down the crown to its normal position starts the movement again. Time of Trip (Stopwatch) is indicated by what Heuer called the “Red System” – hours and half hours are read by the red-tipped hour hand against the red divisions on the turning bezel; minutes are read by the red hand on the small minute dial (at 12:00 o’clock); and seconds (accurate to 1/5 seconds) are read by the red center second hand. The button in the crown starts and stops the stopwatch; the right pusher resets stopwatch hands to zero when stopwatch has been stopped. No flyback.